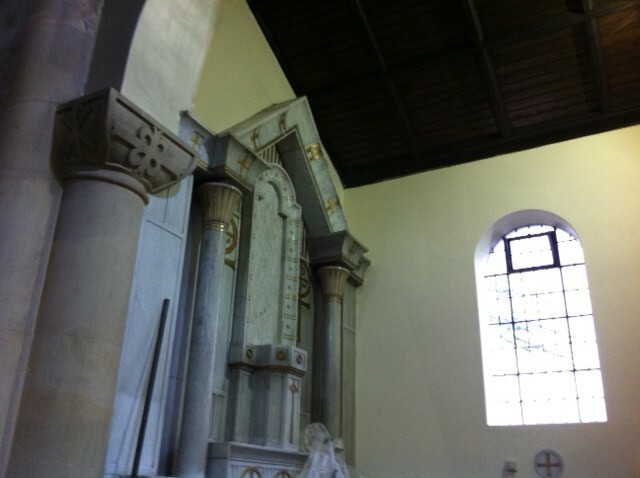 Works have started on the church and will continue for 8 to 10 weeks; due to be completed in early to middle of March. 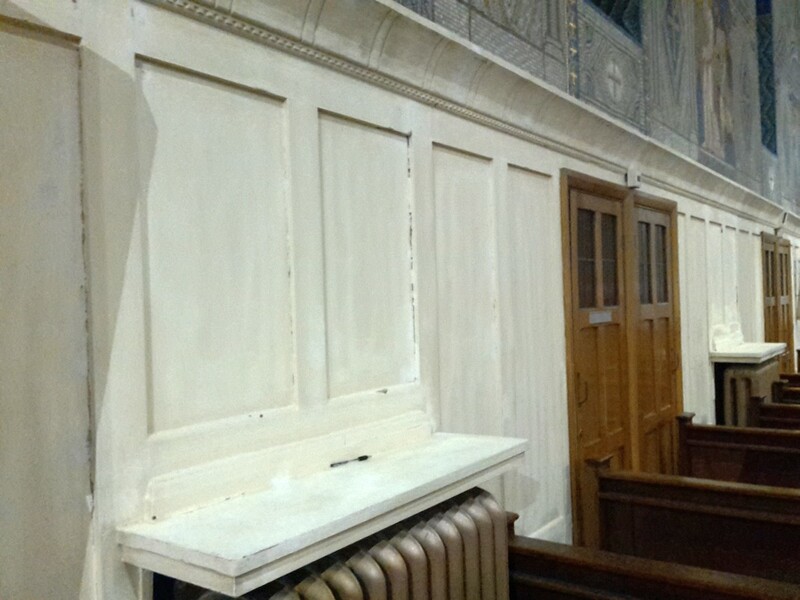 There has been damage to the wooden panels and walls near St Joseph’s altar caused by water leaking through a broken 'boot' in the guttering outside. 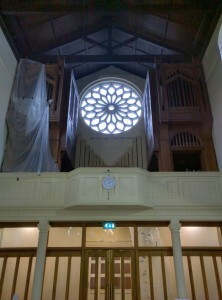 The guttering has been fixed and the wooden panels are being dealt with inside. 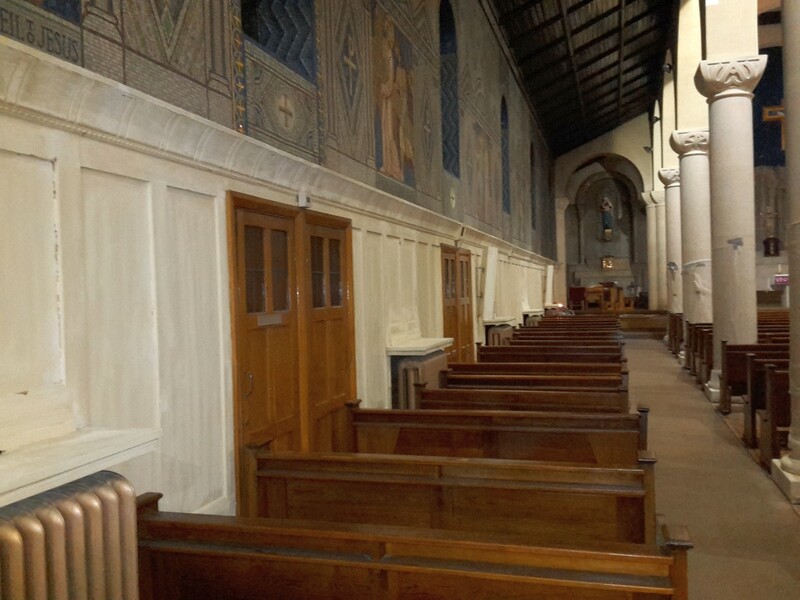 Extractor fans have been fitted in the sacristy to avoid a build up of condensation which has caused damage to walls and ceilings. 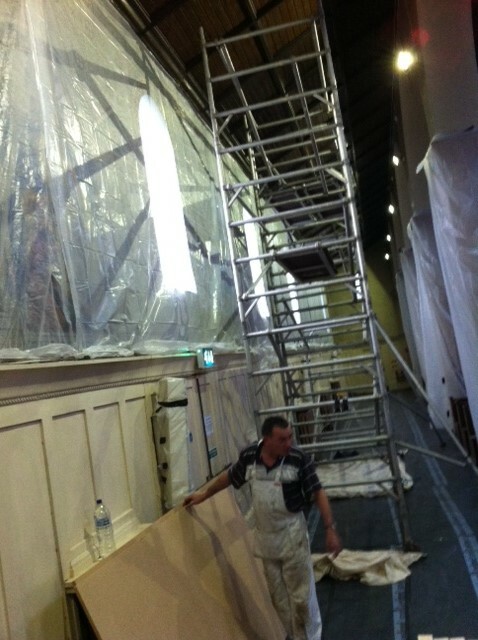 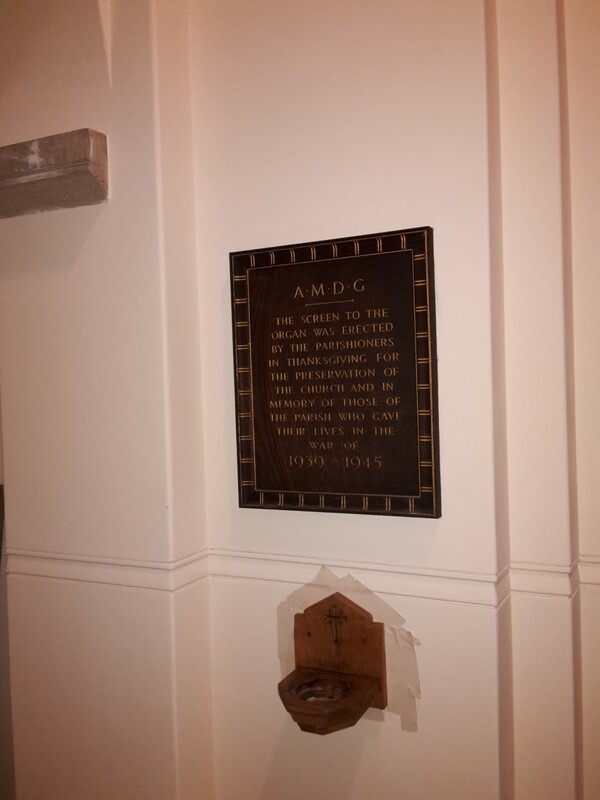 The ceiling boards in the main Church building will be cleaned, re-stained and varnished. 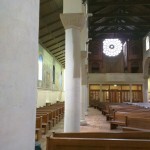 Great care is being taken to cover and protect the stone columns, walls, windows and mosaics. 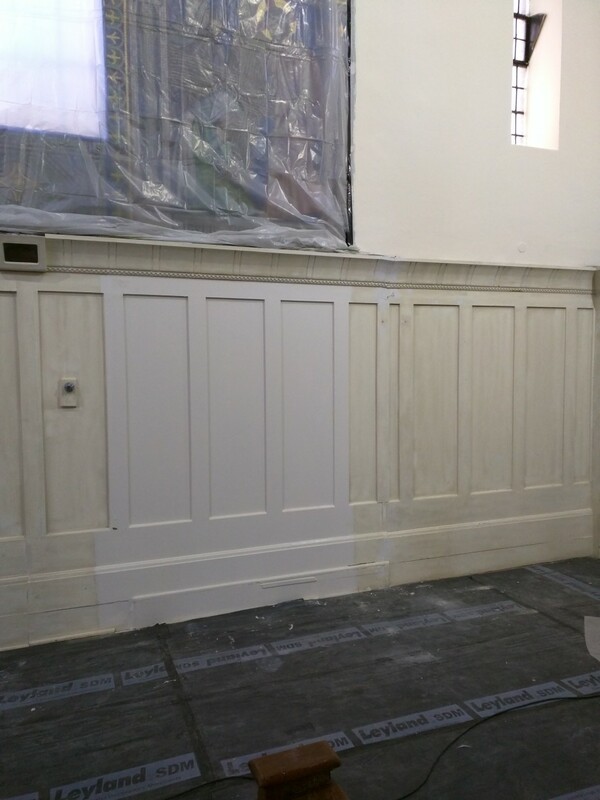 Painted walls and panels will be repainted. 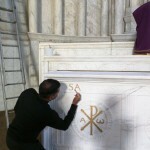 The walls and mosaics will be cleaned - very carefully. 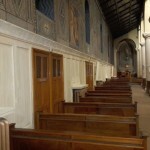 The pews will be cleaned, sanded and varnished. 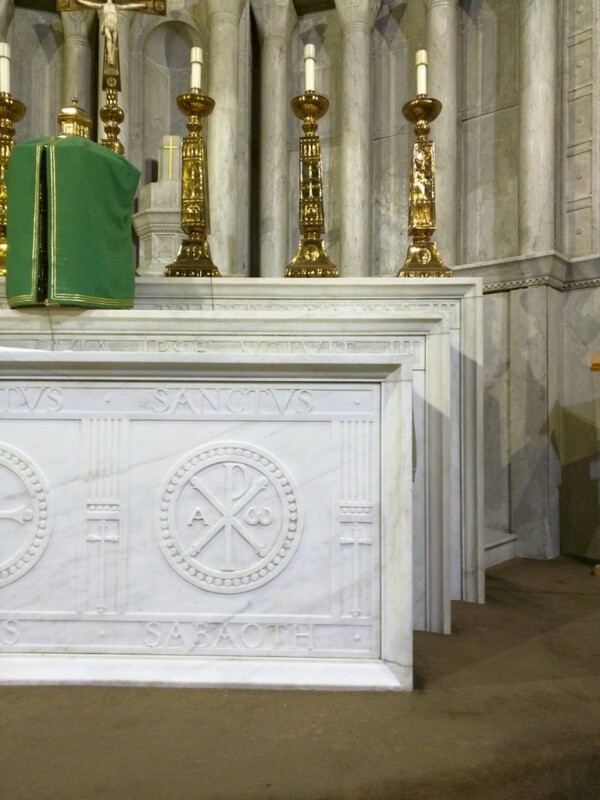 Kneelers will be repaired and recovered. 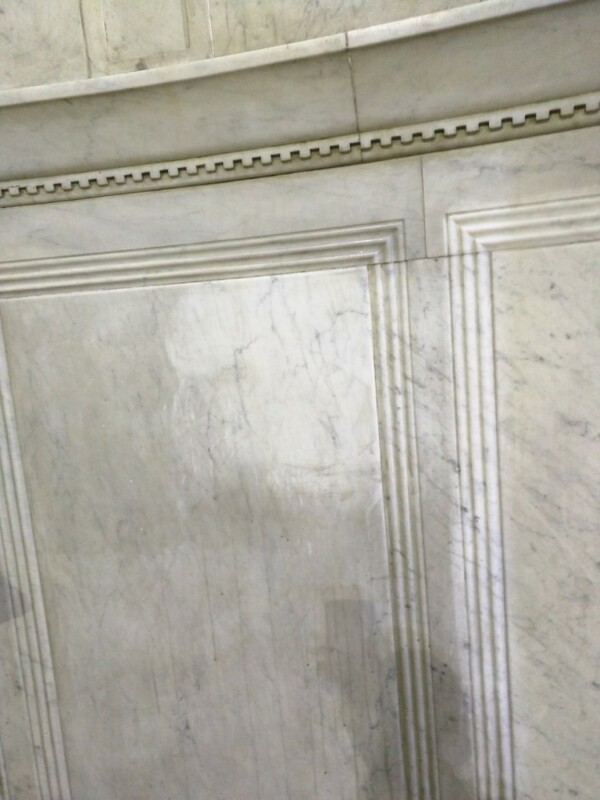 Carpets will be done at the end. 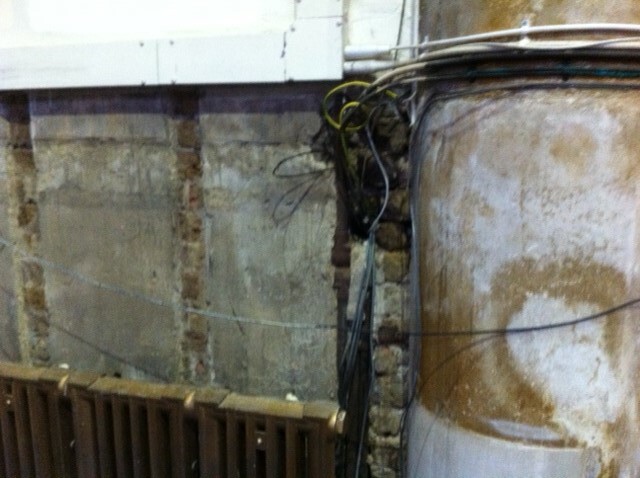 The sound system will also be updated. 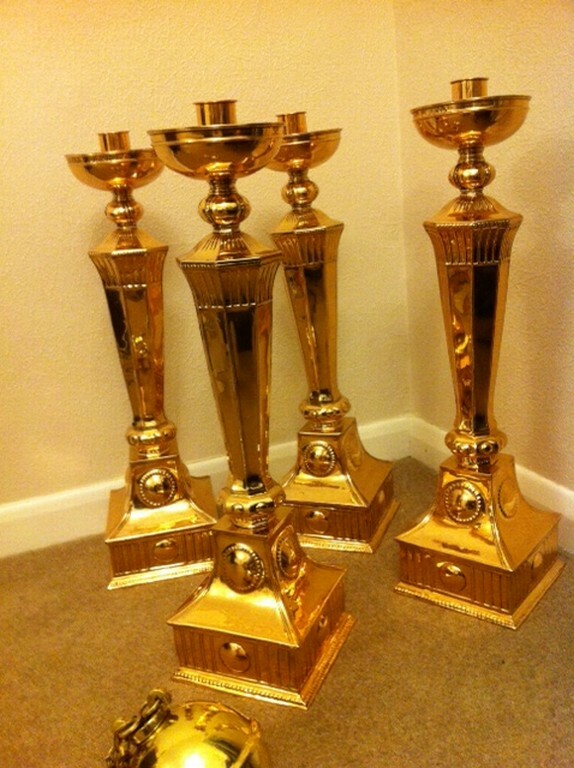 There will be new wooden holders and stands, hand crafted in Streatham, for leaflets, missalettes, etc. 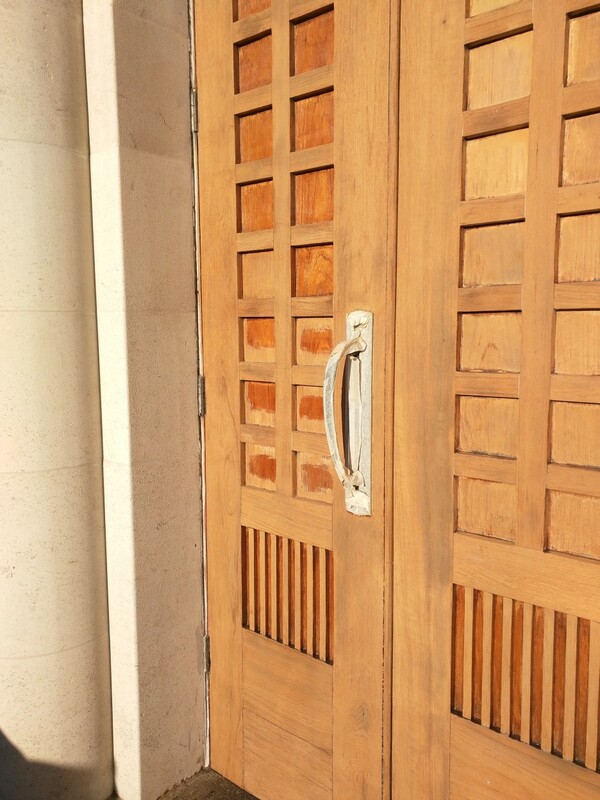 An interesting change to the metal security shutters outside the repository/shop is also on the way! 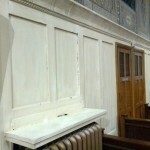 One of the two confessionals seems to have been locked for some years; we have now broken in! 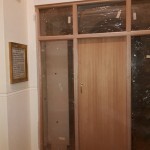 Both confessionals will be refurbished to provide a more comfortable environment and the opportunity for face to face confessions. 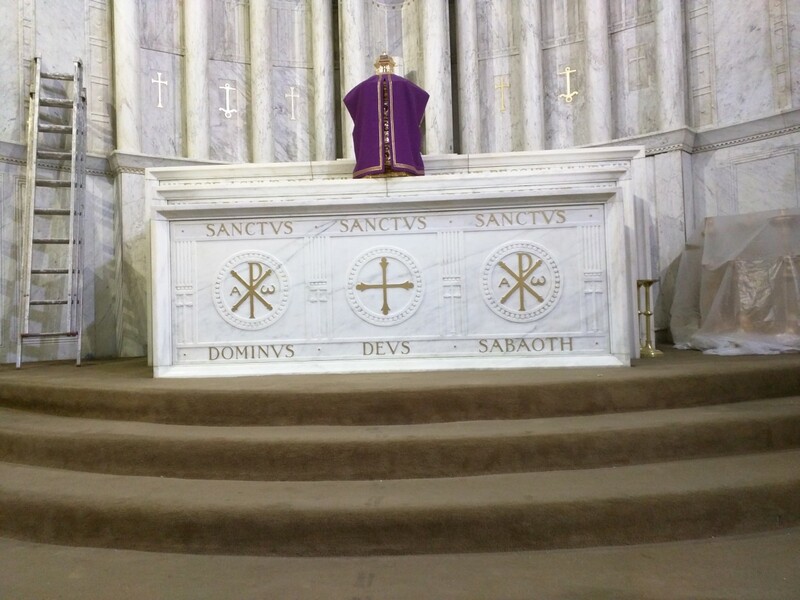 Restoration of chalices, cyboriums, sanctuary lights and candles. 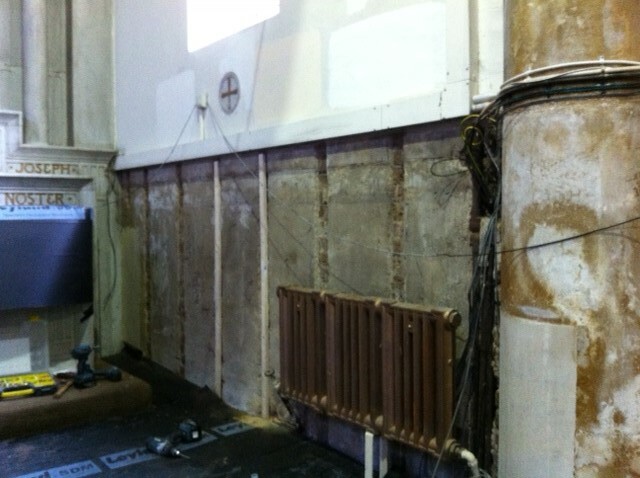 The toilets will be re-tiled and renewed. 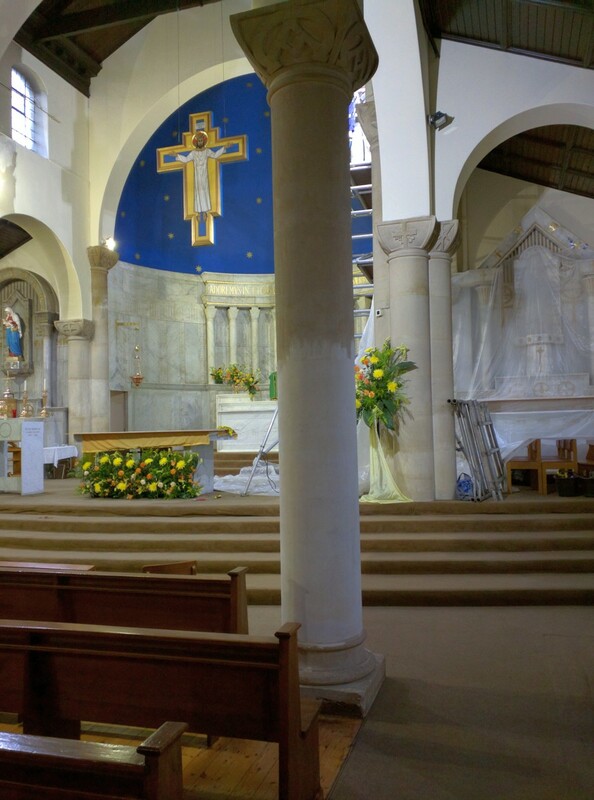 Week ending 28-Feb-2016: While some work continues on the columns near the High Altar, work has started in Our Lady's aisle - sanding and preparing the side wall panels. 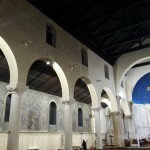 The new lights have been repositioned. 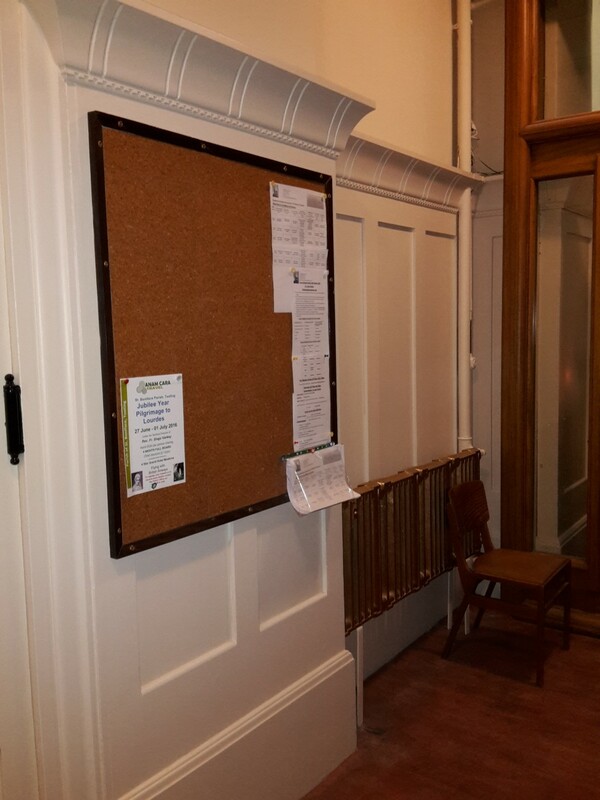 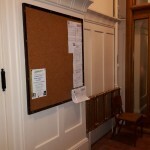 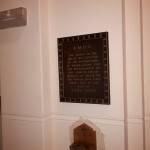 In the "crying chapel" painting has been done and new notice boards put up. 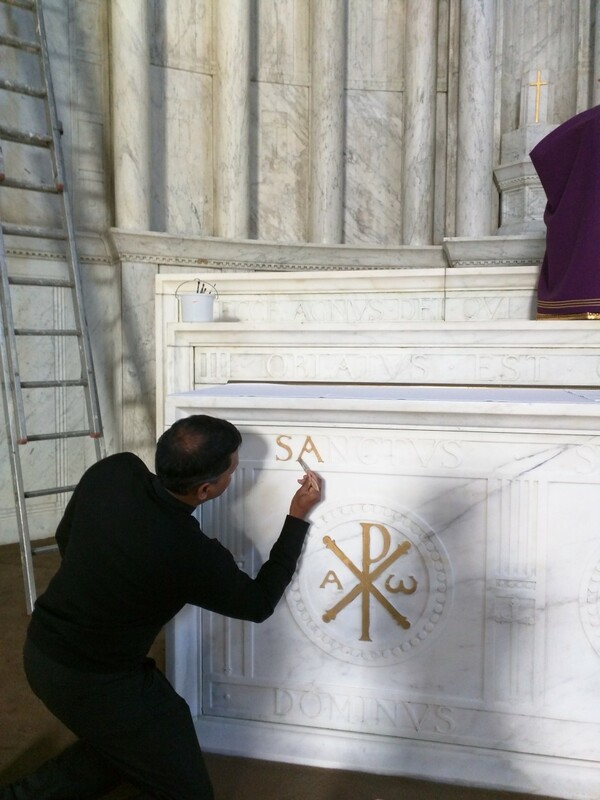 Week ending 21-Feb-2016: Much of the work this week has been at high levels, requiring careful work and taking time. 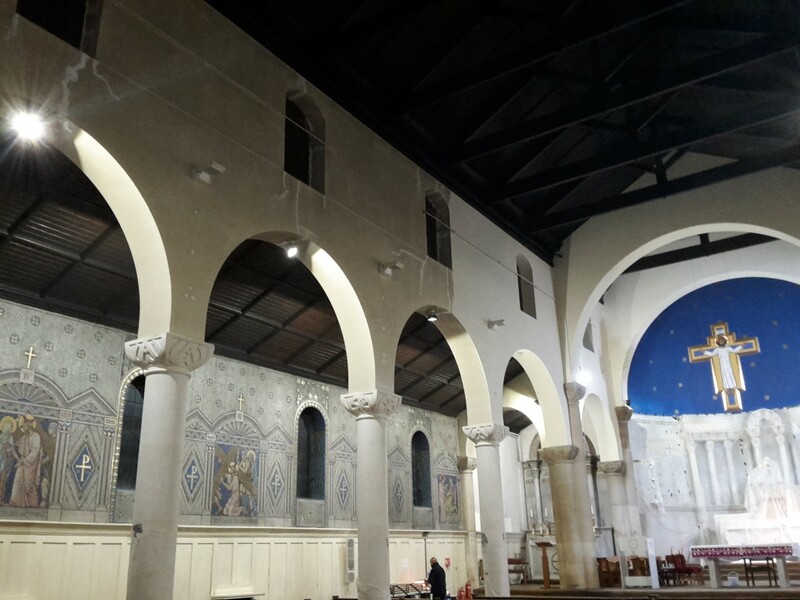 The ceiling areas and arches over the high altar have been painted and continuing out onto the left hand side. 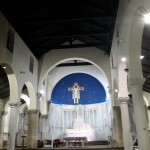 Something new and blue has also started to appear. 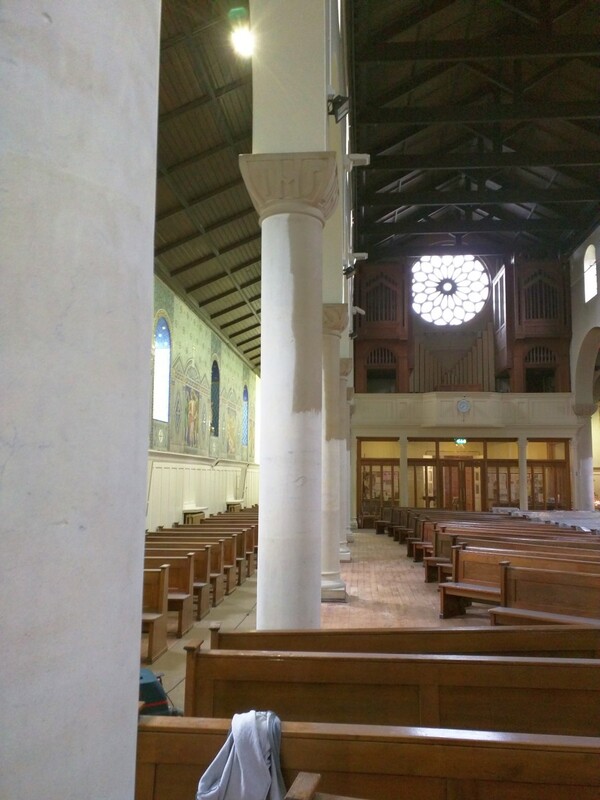 Week ending 07-Feb-2016: The big visual progress this week has been the start of cleaning the stone columns in the church. 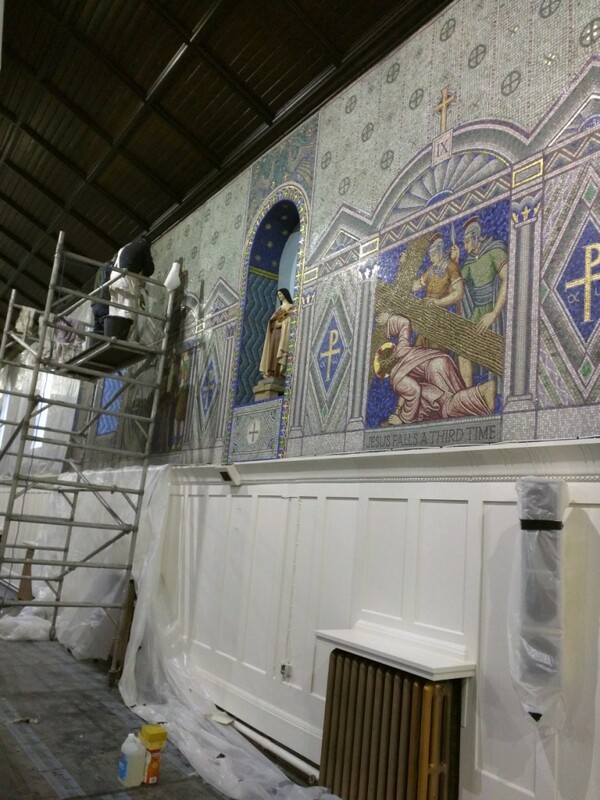 Week ending 23-Jan-2016: As you can see, on the St Joseph's side of the church the walls and panelling are painted, mosaics are being carefully washed. 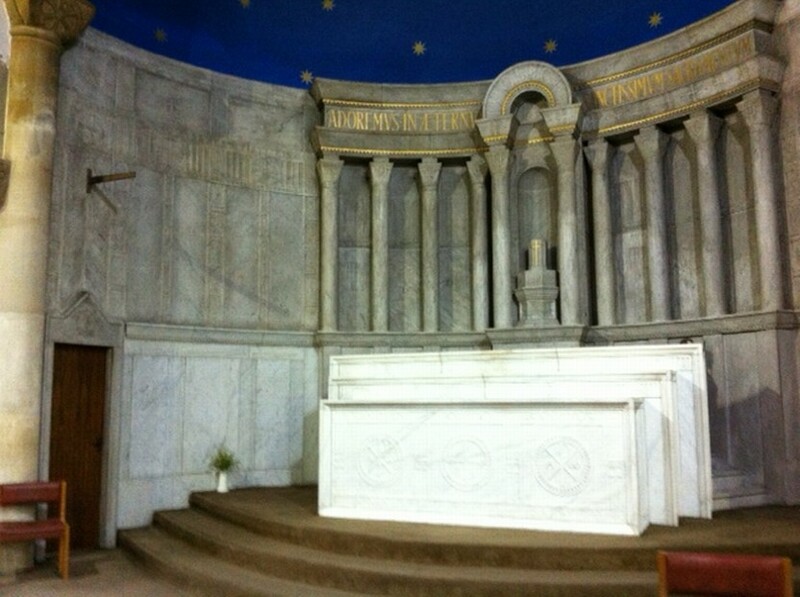 Some of the altar has been cleaned (what a brilliant difference I'm sure you would agree!). 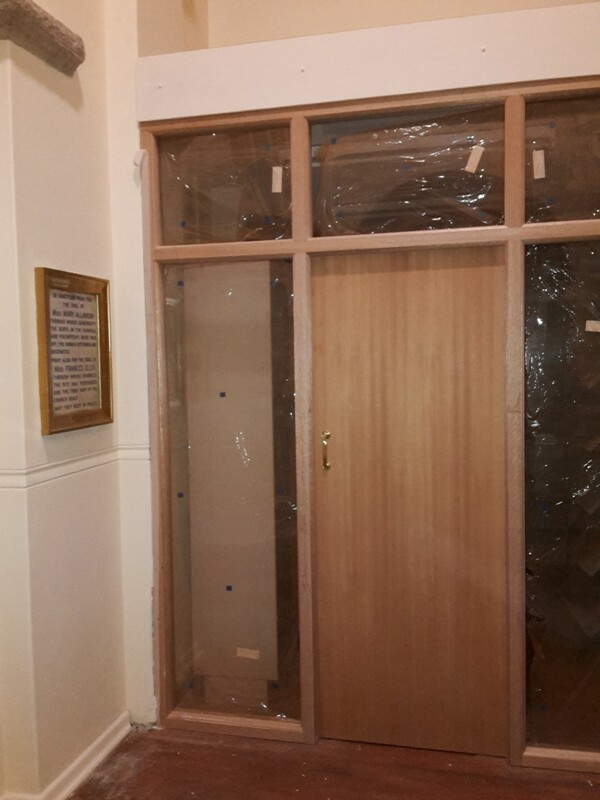 Week ending 16-Jan-2016: Work is in progress on the panelling on the walls and the front doors have been rubbed down ready to be properly varnished. 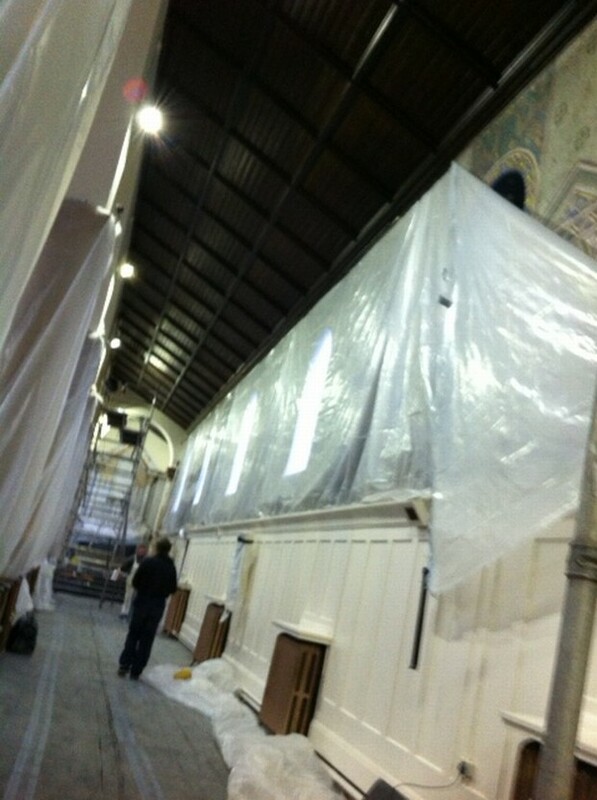 The ceiling on the St Joseph's side of the church has been completely sanded down and is now being stained. 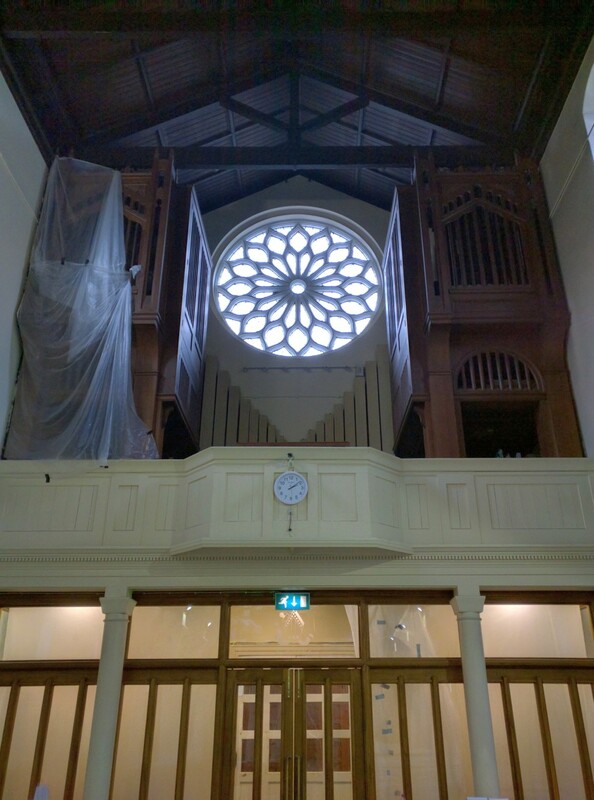 Week ending 9-Jan-2016: Scaffolding up in St Joseph's aisle as the ceiling boards are cleaned, stained and varnished. 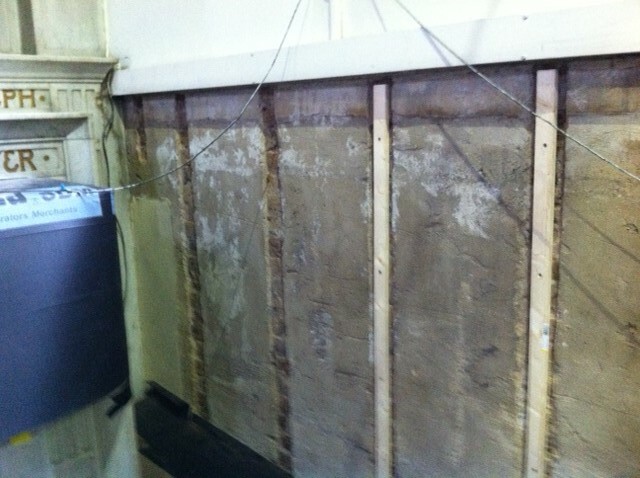 Side panelling removed to sort out damp. 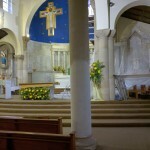 from Our Lady of The Crays Orpington). 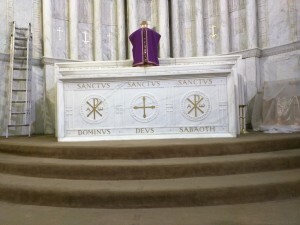 a wonderful place to worship our Lord, Father works tirelessly.